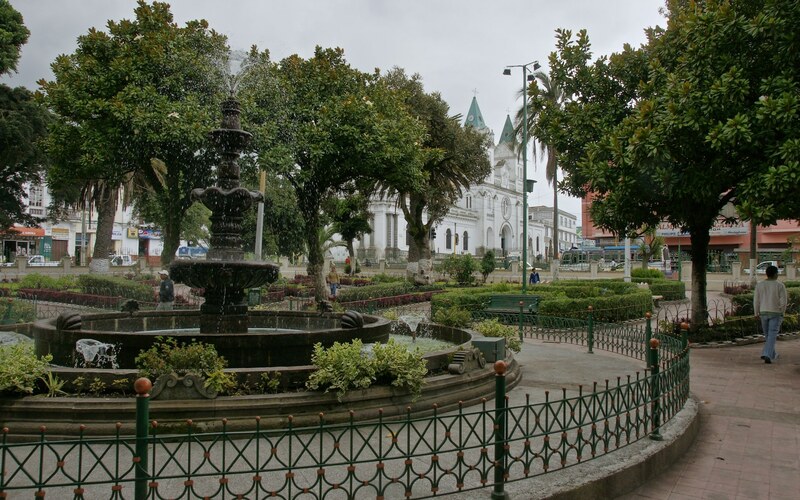 Part One of my posts on Quito and climbing in Ecuador (click above) deals with the city of Quito and my acclimatization plan to make climbing the following three peaks possible. 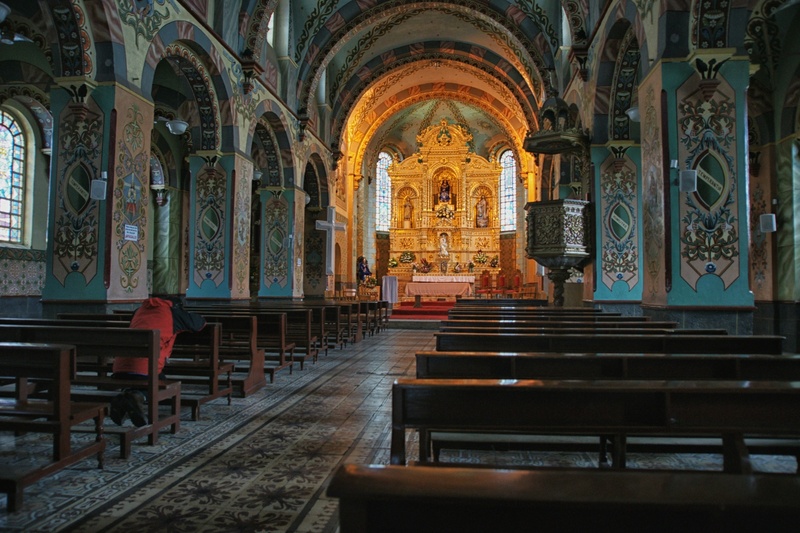 All images expand with a click; all blue text leads to a related page with a click. 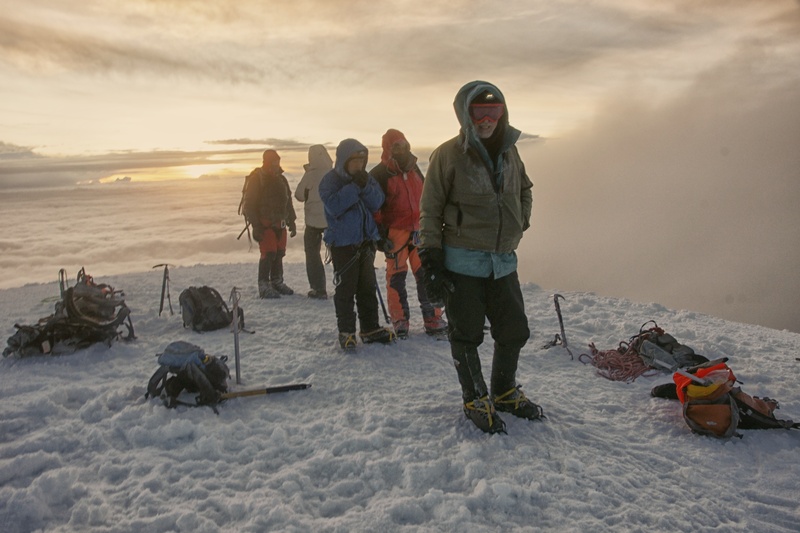 climbing team approaching Chimborazo summit – 6:30 a.m.
Of course, there is more than the altitude involved when comparing mountains. 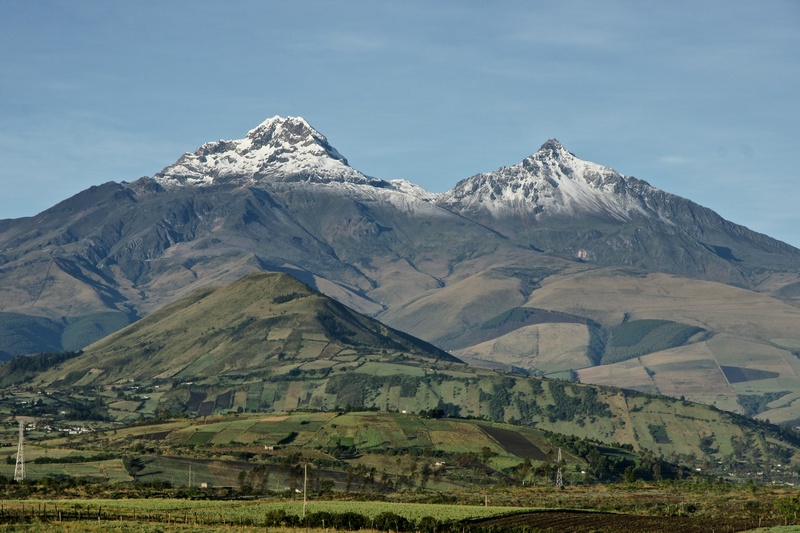 All three of the Ecuadorian peaks are in the PD (i.e. 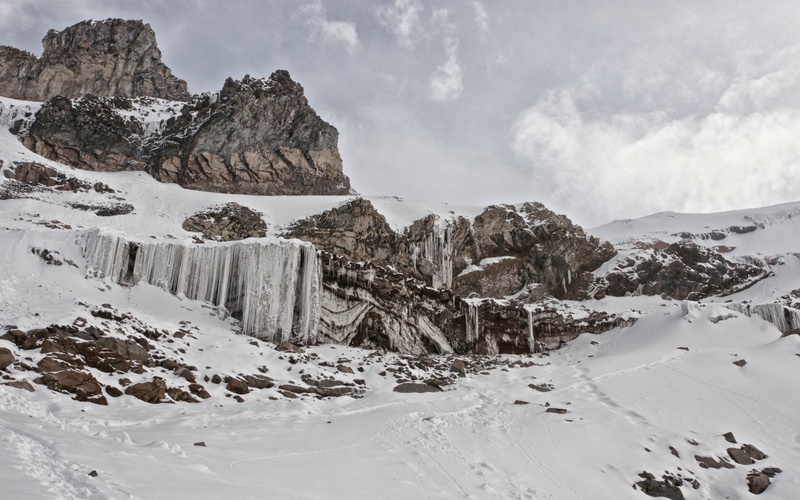 un peu difficile) class- fairly non-technical climbs that are moderately difficult and not beyond the reach of motivated and prepared novices equipped with crampons, ice axes, and climbing ropes they know how to use. 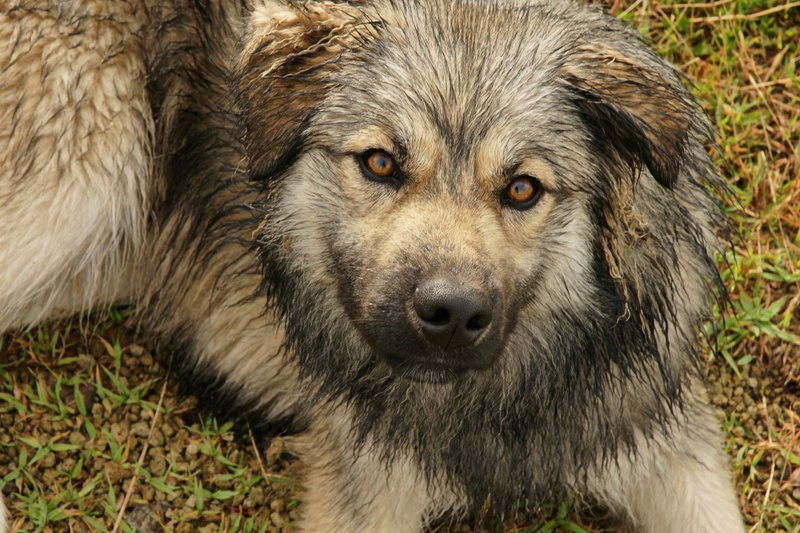 Denali and Logan are challenges which require a higher skill set and which are subject to more extreme weather conditions. 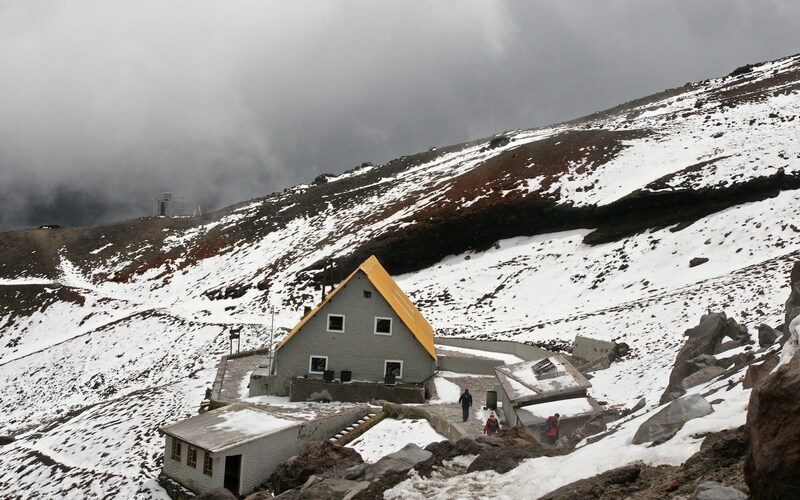 The effects of the high altitude, however, will hit you the same way no matter what peak you’re standing on; so too will suddenly deteriorating weather conditions. In the end, it is best to approach any mountain with respect and with the knowledge that you have the skills, the necessary experience, and the equipment to deal with whatever you walk into. 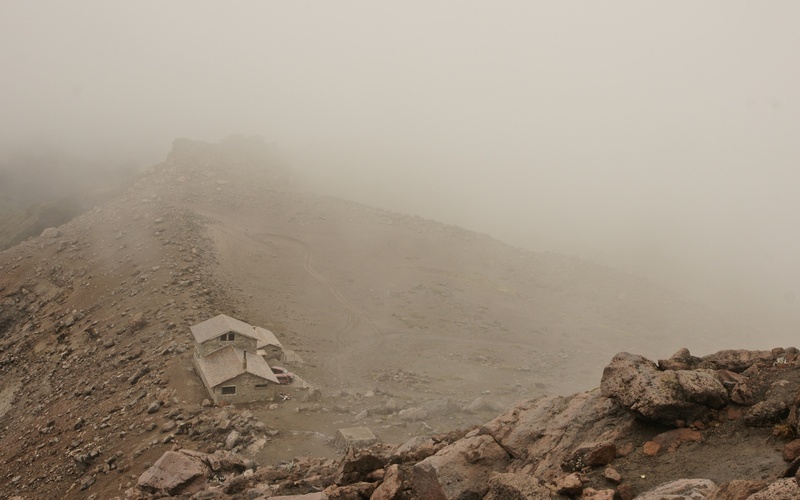 And then it was time to head up to the Refugio, another thirty kilometers or so up a dirt road to the Refugio Ruales-Oleas-Berge at 4800 m. The hut is named after three climbers credited with establishing the Normal Route up to the peak. They, unfortunately, died in an avalanche on the mountain in 1973. This mountain is one of the most beautiful to ever be seen and one of the highest in the world; it can be considered one of the eternal monuments with which Nature has marked the great divisions of the globe. Admittedly he had never been to the Himalayas or the Rockies but still, it is effusive praise! 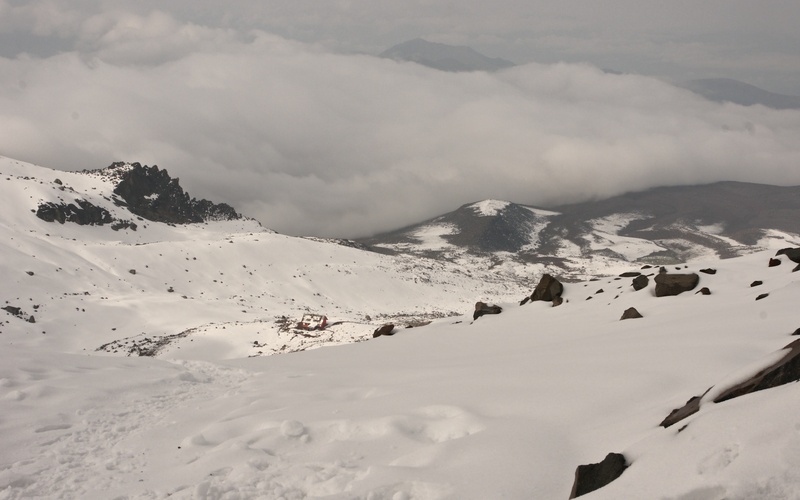 On top of it all, it is the one place on the equator where you can walk on natural snow! 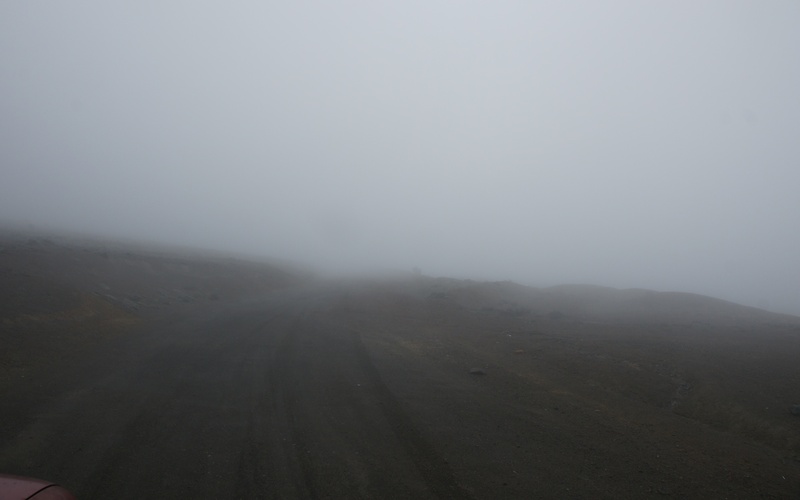 As the following photos show, we drove up into a cloud that reduced visibility to such an extent that we never really got a sense of the mountain. 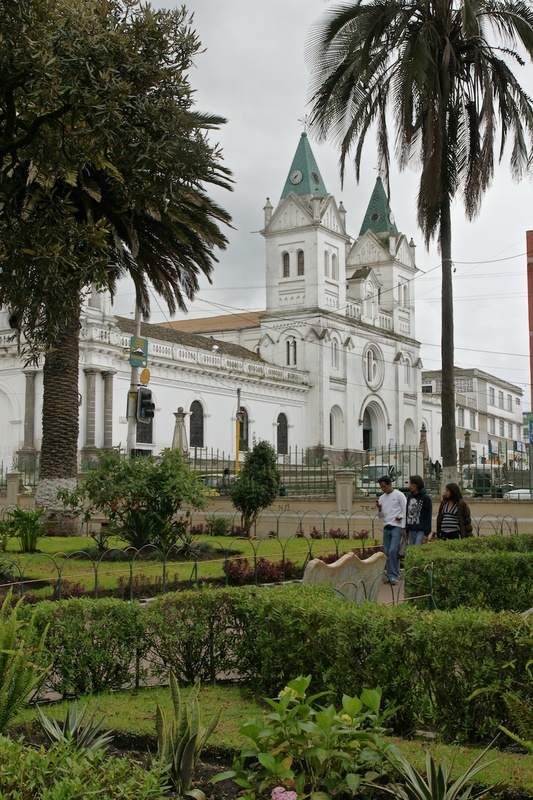 I later found out that Cayambe, given its proximity to the moisture of the Amazon, is more likely to be affected by clouds than other peaks closer to the coast. 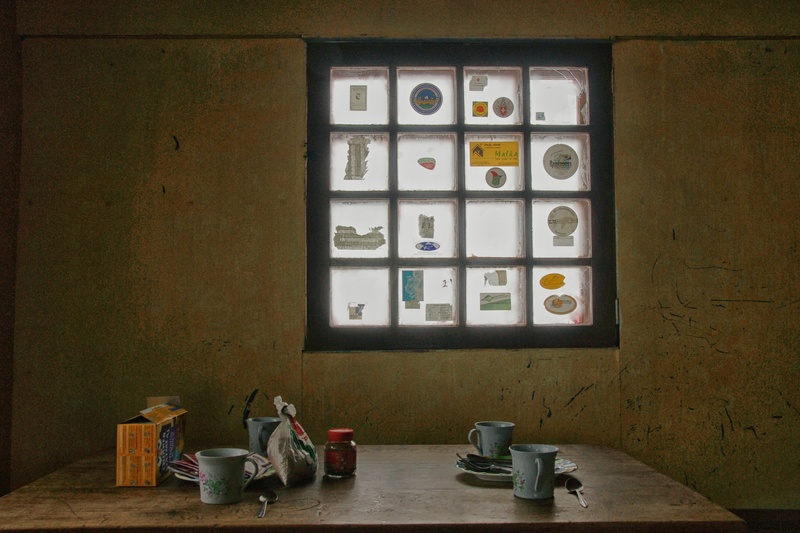 We had supper in the very nicely-equipped Refugio and lay down for a few hours of rest before the one a.m. wake-up call. When the time came, I heard a bit of a commotion in the hallway; the two Dutch guys were insisting that we were going even as the guides argued that the visibility was such that we shouldn’t. 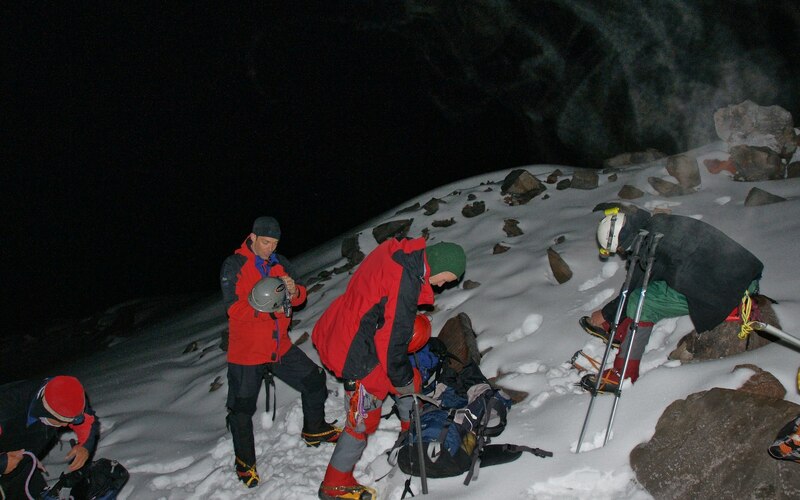 We waited about an hour and then decided to head out into the night and into the mist enveloping the mountain peak. The guides would need all their skills – and all of their trail marker wands! 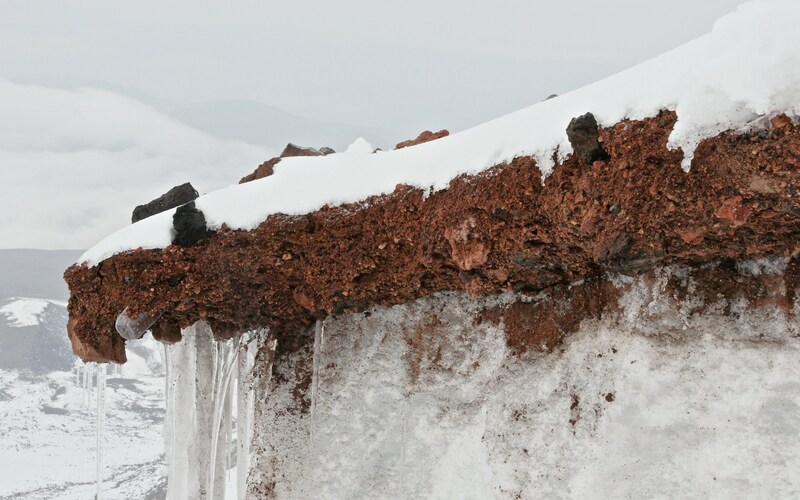 – to help them find the way back – but not before we came within 300 meters of the summit. 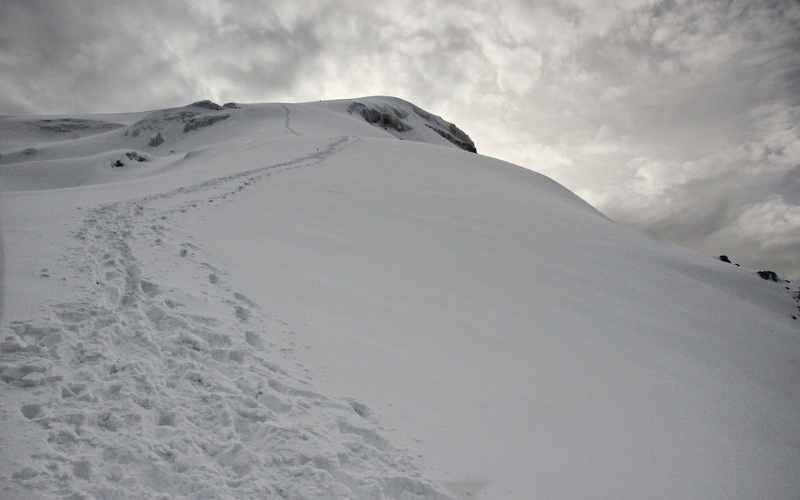 Poor visibility and snow-covered crevasses on the last stretch up to the summit just did not add up to anything that made sense to continue. At about 6:30 a.m. we turned around – disappointed but accepting that it was the right thing to do. break time- and crampons off- on the way down to the Refugio- 8:00 a.m.
returning to the Cayambe Refugio at 9:00 a.m.- it’s down there somewhere! 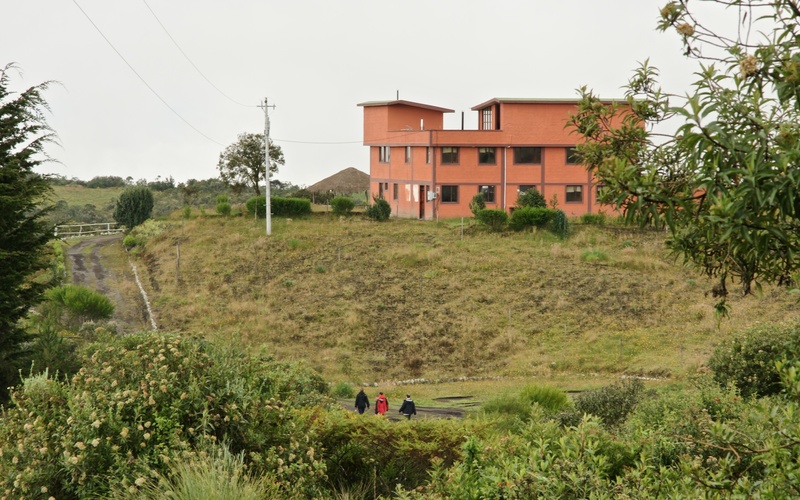 After our failed attempt at the summit of Cayambe, we headed south of Quito on the Panamericana to a Moggely hostel located off the highway in between the Ilinizas to the west and Cotopaxi in the east. 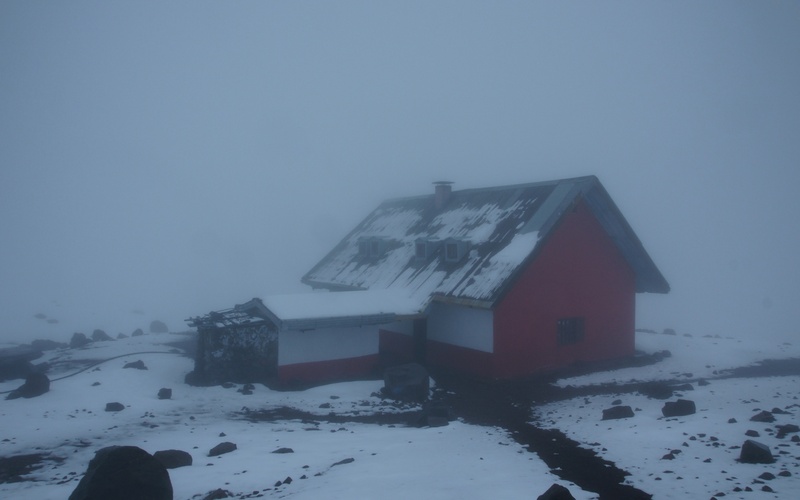 We would spend a couple of nights here relaxing and getting ready for our next peak- Chimborazo. This time I got a clear shot of the Ilinizas! 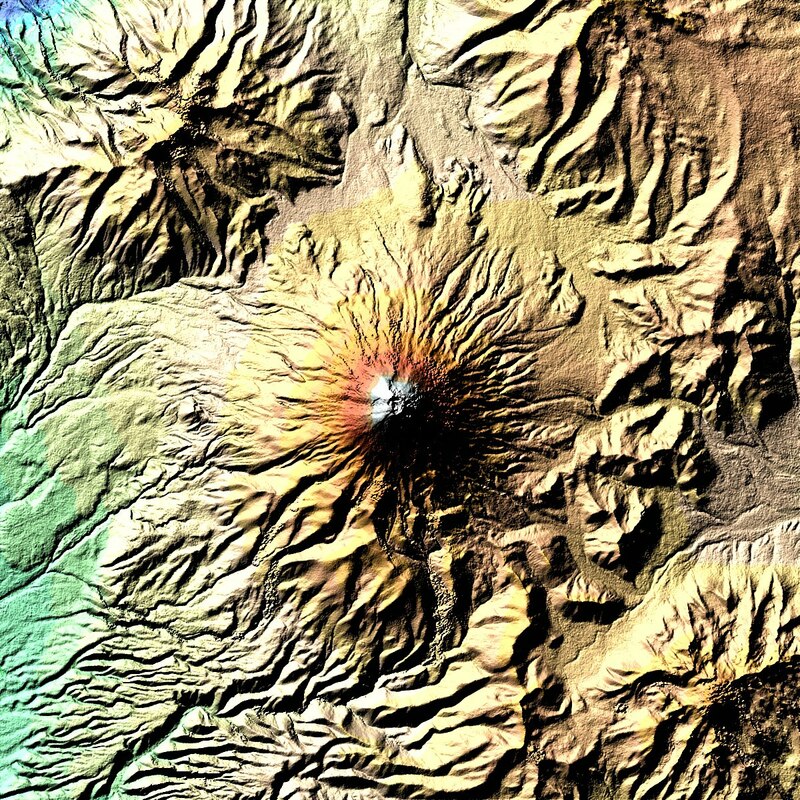 The above NASA shot of Cotopaxi really underlines the nature of volcanoes as pimples on the earth’s surface! They tend to loom over the surrounding landscape, definitely a different kind of mountainscape than that created by tectonic plates colliding and lifting long stretches of the earth’s surface up into the sky – like that of the Rockies or the Himalayas or other stretches of the Andes. 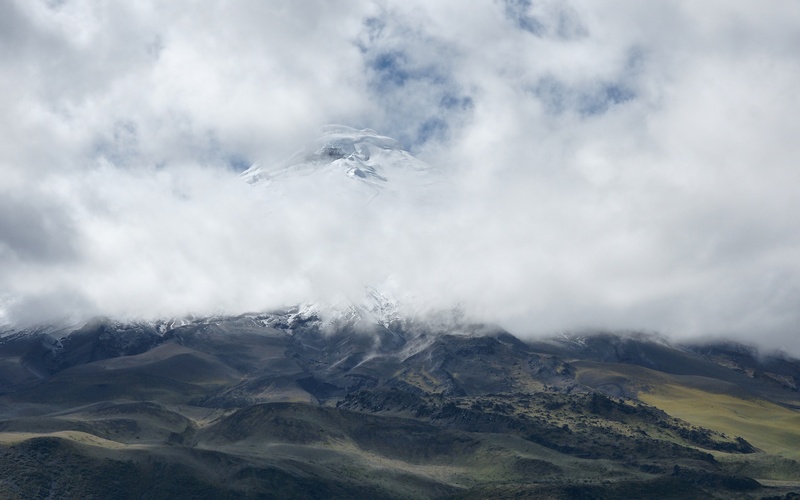 our first teasing view of Cotopaxi! 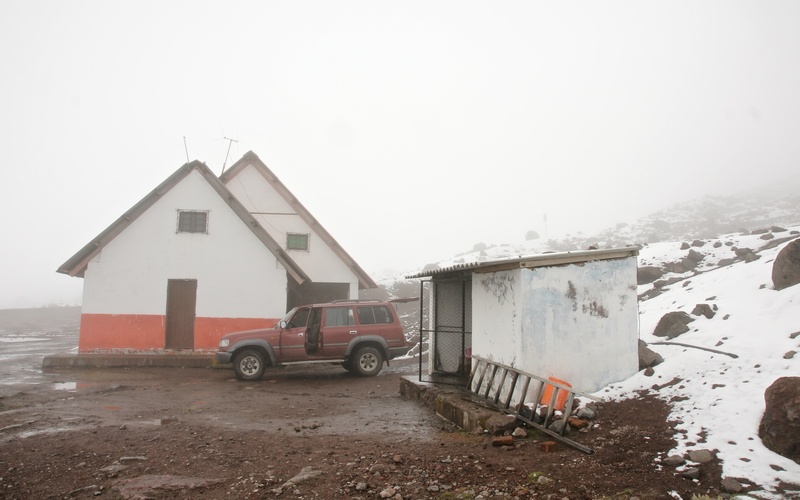 On the day after our failed attempt to summit Cayambe, we drove up to the car park below the Jose Ribas Refugio and walked up to the hut with all the other day trippers. We spent an hour or so up above the hut trying to get a sense of the trail to the top but cloud cover prevented us from getting much of a view. After a quick lunch stop in the very nice hut, we made our way back down. In my case, it would be without my Arcteryx hardshell that you see crumpled on the table. It would be the last time I saw the jacket. 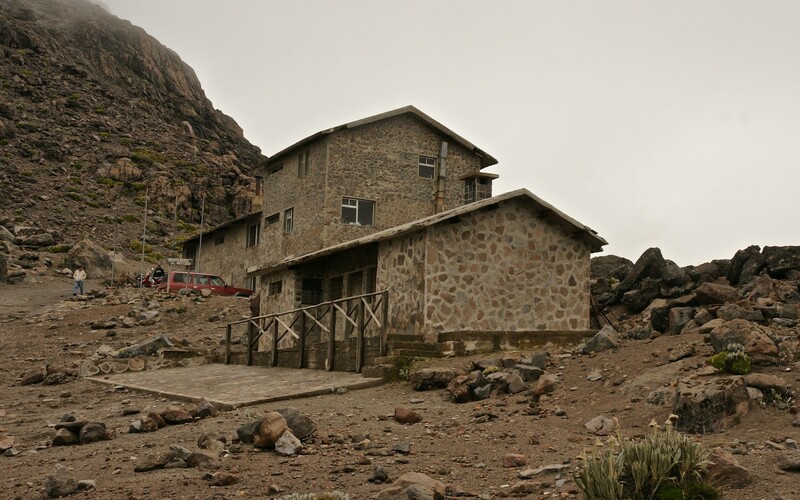 About a week later I would return to Refugio Ribas along with my guide Rafael Martinez for our summit attempt; there may have been a half-dozen climbers up on the second floor with us, not the capacity crowd that some trip reports mention. Evidently, mid-February is not prime time. When I asked about a red jacket I was met with the blank look of someone who probably hadn’t even been there the day we were. 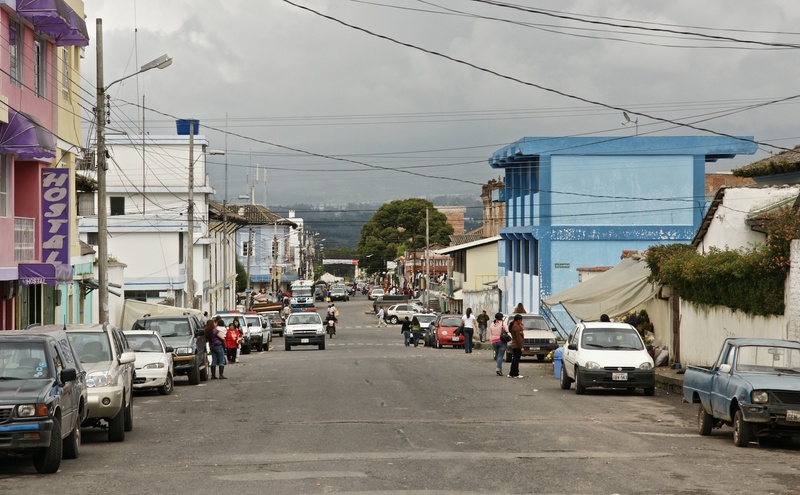 And then it was back down to the Panamerica and to Machachi, the closest town to our hostel. While a couple of the guys went off to an internet café and another went off looking for some food, I wandered around the main square of the town. 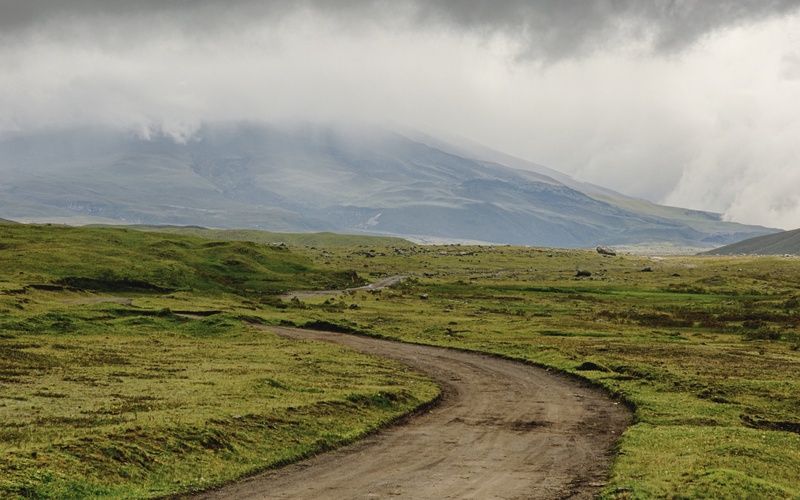 After a couple of nights at the Valhalla Hostal we drove down the Panamerica to the turn-off south of Ambato and then along the dirt road to the Whymper Refugio on the upper slopes of Chimborazo, the highest peak in Ecuador. Since the earth is not a perfect sphere and actually bulges a bit where the equator is, Chimborazo is also the point on earth furthest from the earth’s center and closest to the sun. Two hundred years ago it was thought to be the highest mountain on the planet and only as the Himalayas were explored and measured did it lose its status. 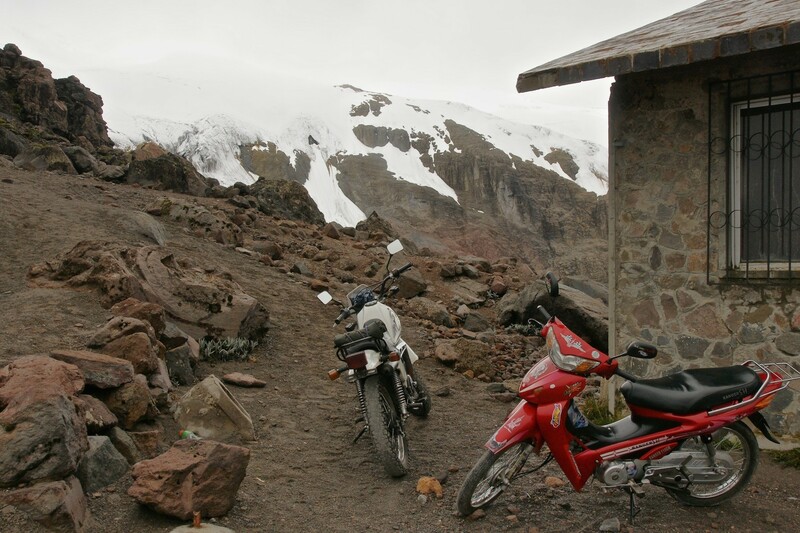 You actually drive up to the Carrel Hut (4800 m) and park the vehicle there. (The Carrel brothers, Louis and Jean-Antoine, were Edward Whymper’s climbing partners on the first summit of Chimborazo in 1880.) Then it is an easy thirty minute or so walk up to the Whymper Hut at 5000 meters just on the bottom edge of the Thielman Glacier. Notice the visibility in the pic above! 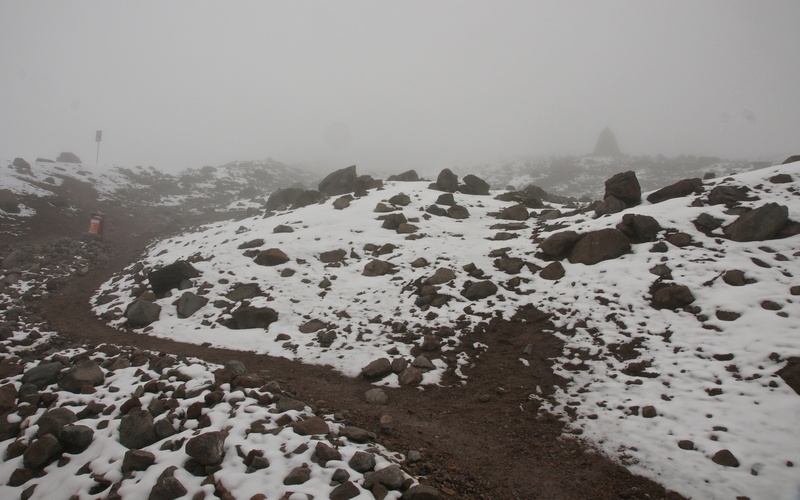 Unfortunately, it sums up our afternoon on the slopes of Chimborazo, getting ready for our 11:15 p.m. wake-up call. Edward Whymper was a British climber and collector of first ascents who definitely got around. The previous summer I had spent a week in the mountains above Zermatt. Whymper had been on the first climbing team to summit the Matterhorn in 1865. To celebrate our slog across the Monta Rosa Glacier we had booked supper reservations at the Whymper Stube, a cheese fondue place in Zermatt. 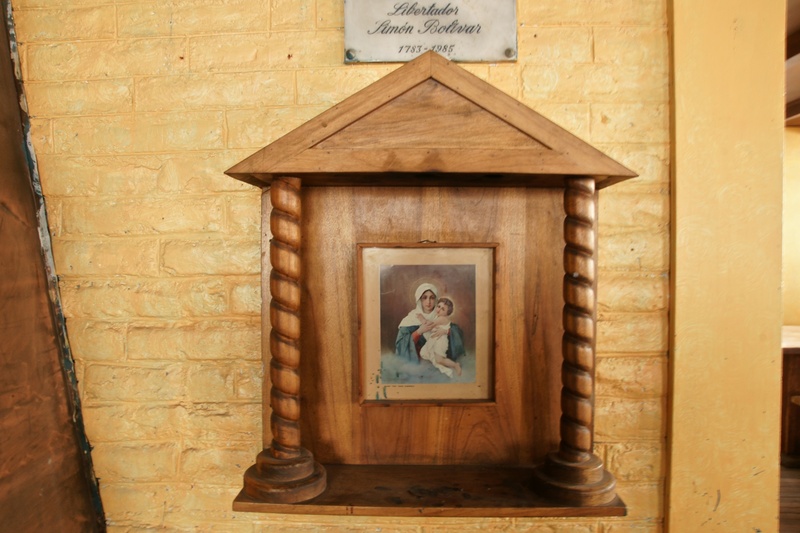 And seven months later I got to sleep for a few hours in a refugio named after the man! We were ready to go shortly after midnight. Everyone was feeling okay- nobody hit by mountain sickness. The night air seemed quite warm. Over the next seven hours, we would plod our way up the Normal route to the summit. 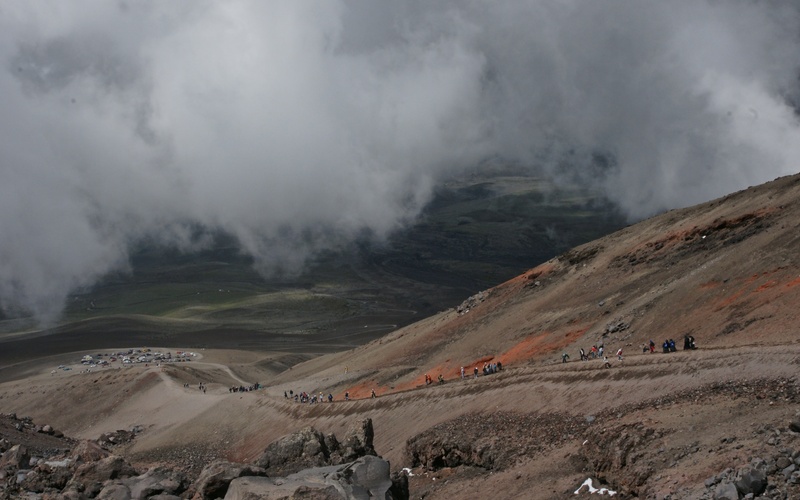 Given that we got to about 5600 meters on Cayambe, this meant an additional 700 meters of ascent. Without a doubt we were feeling it when we got to the top – well, a top. The four of us had two guides; I ended up with a guide to myself because the three other guys wanted to stay together. Unstated was maybe the thought that if I had to turn back for whatever reason, they could still continue to the top. As it turned out my guide set a pace that had us up on the snow mound called Veintemilla about ten minutes before they chugged into the station – so I was able to capture their arrival. on top of Chimborazo – at the Veintemilla summit- at 6:45 a.m. 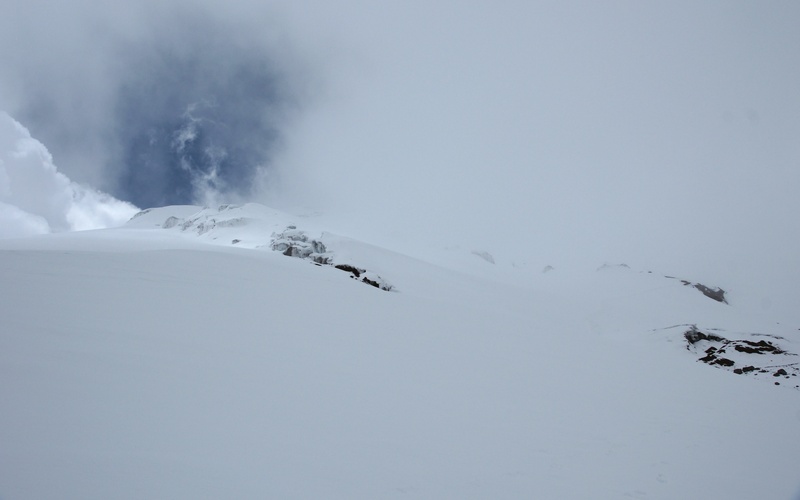 It turns out that there are actually a number of summits on Chimborazo. The highest summit is Cumbre Whymper and it is at 6310 m. That would be the snow dome of Cumbre Whymper behind me in the picture above. 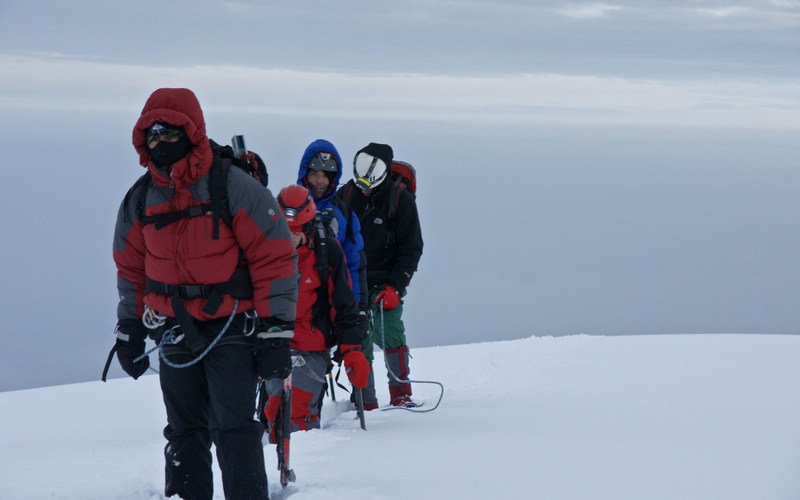 We got to the summit called Veintemilla (6267 m), which is separated from the Whymper by a fifty-meter dip. It was filled with snow the morning we were up there. 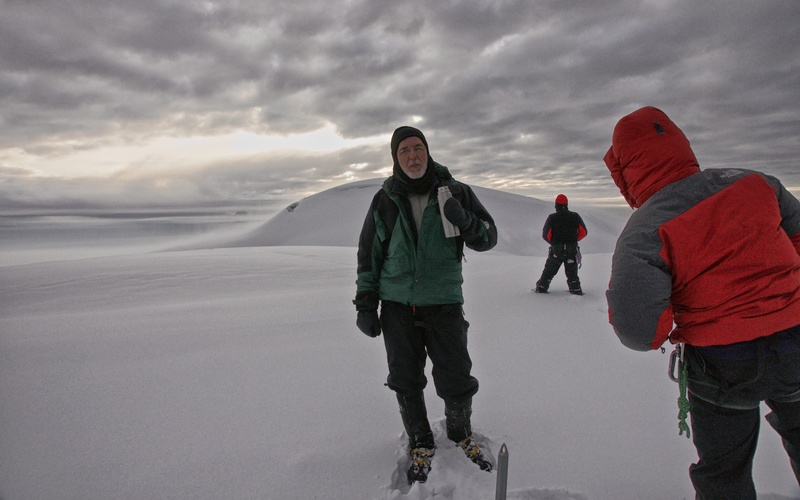 The combination of that waist-high powdery snow and the covered crevasses made us stop where we did. 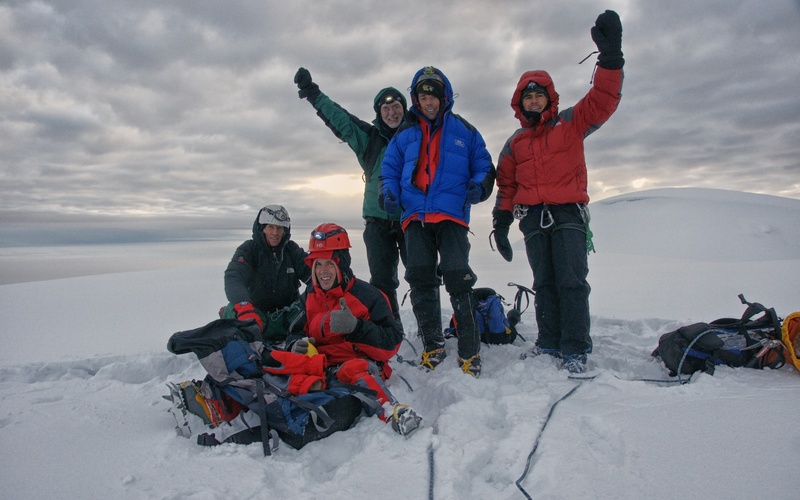 the crew on top of Chimborazo- it is 6:45 a.m.
the day’s rockfall on the home stretch – but still frozen in the ice at 8:00 a.m.
And then it was back down to the Refugio Whymper, a two-hour blast down the hill as opposed to the seven we spent getting up to the top! 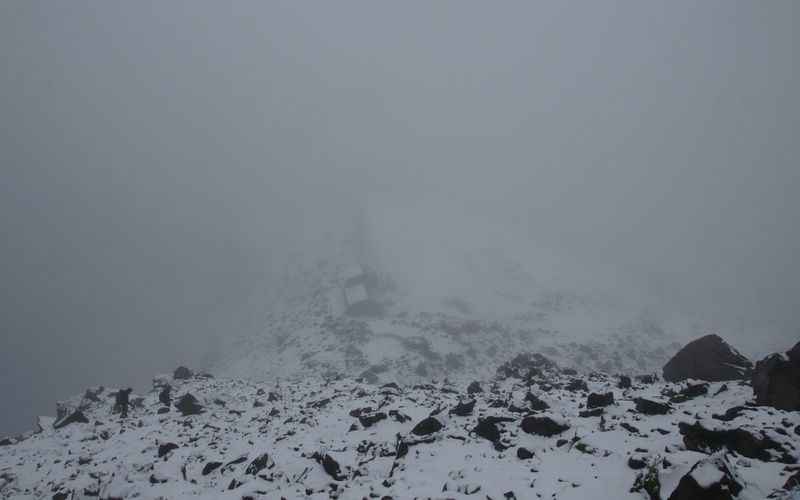 The picture below shows the hut sitting just to the SW of Il Castillo as we descend. returning to the Whymper Hut – it is 8:20 a.m. and we’ve been on the go since midnight! 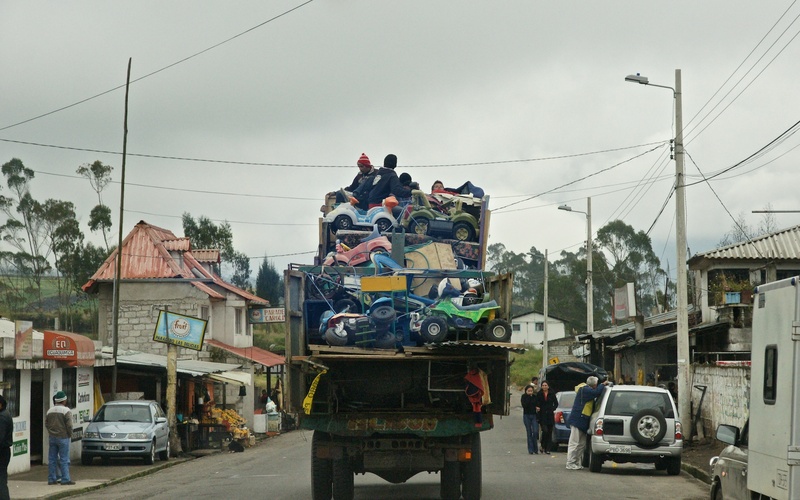 And then it was back to Base Camp Quito and Gringolandia. 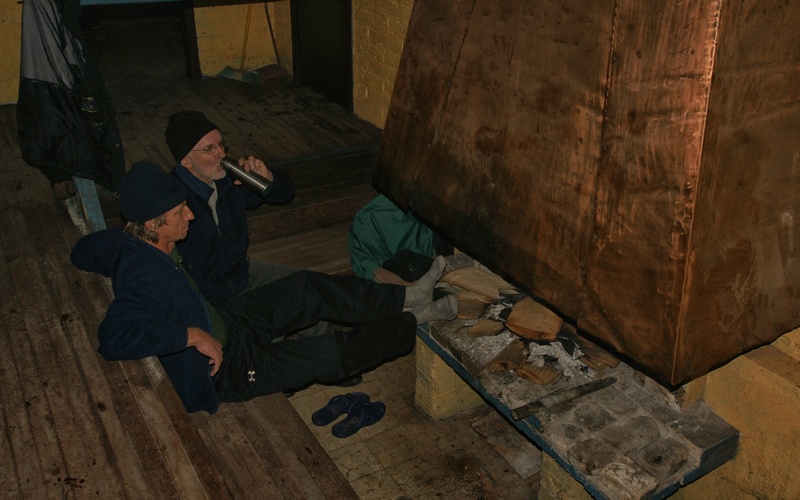 My fellow climbers’ adventure was over and they were off the next day to Trinidad and Curacao. We celebrated with some great Mexican food that night in La Mariscal. 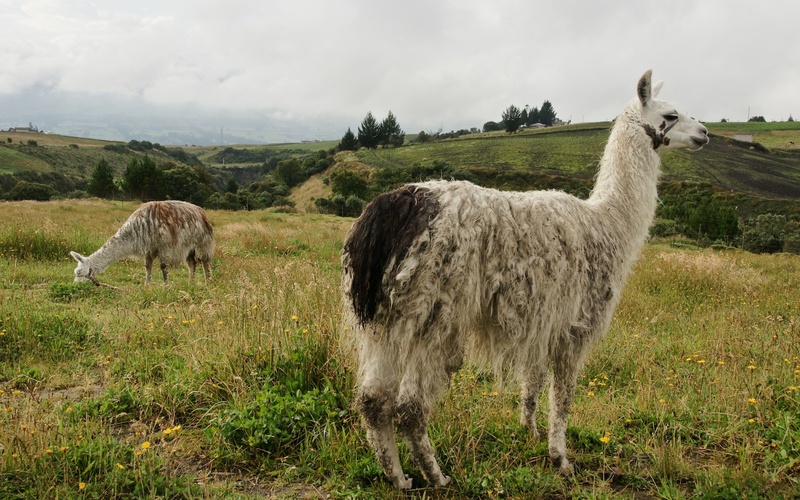 I had no problems finding vegetarian food options in Quito and even found a couple of pretty good wholly vegetarian restaurants. My favourite spot was the Magic Bean, just a few minutes walk from my hostal; I even found a place decorated with Bollywood posters and serving North Indian style food. Mountains and dal bhatt- what a classic combination! After a couple of days in Quito – days spent relaxing, eating, and being a tourist shopper – it was time to get back to the mountains. 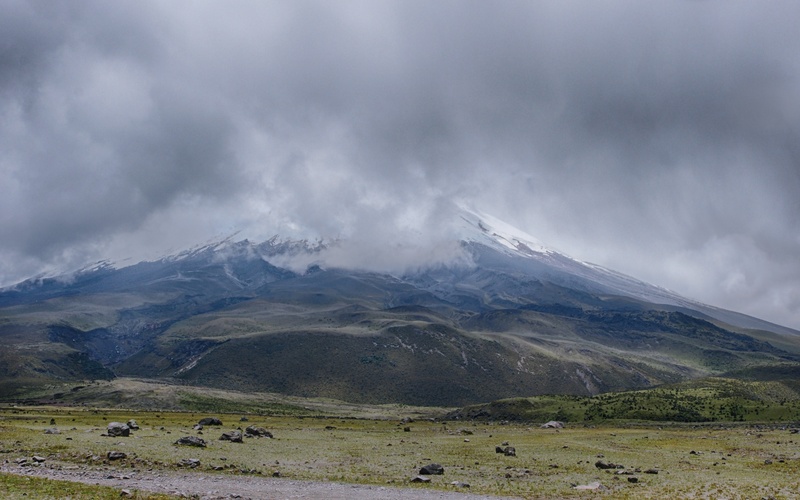 Cotopaxi is probably the one peak that most visitors to Ecuador will try to summit- if they do any mountaineering at all. 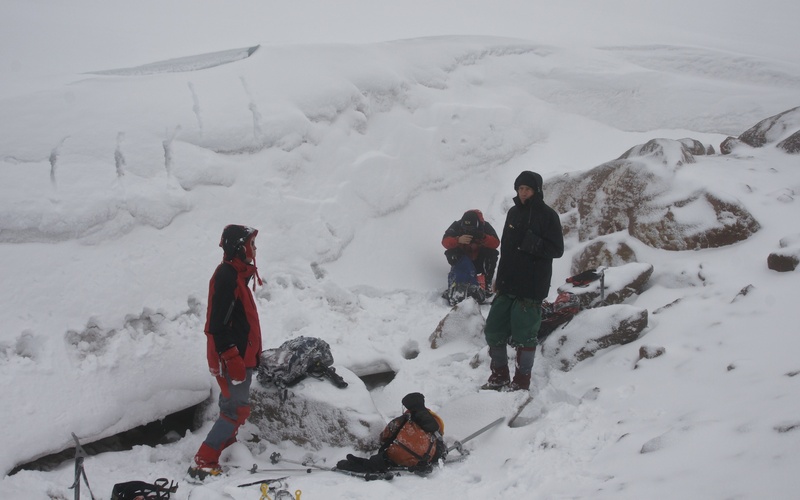 Chimborazo is- at 400 meters higher- a bit more of a challenge and weather patterns around Cayambe mean that up to 50% of attempts to summit it end in failure. 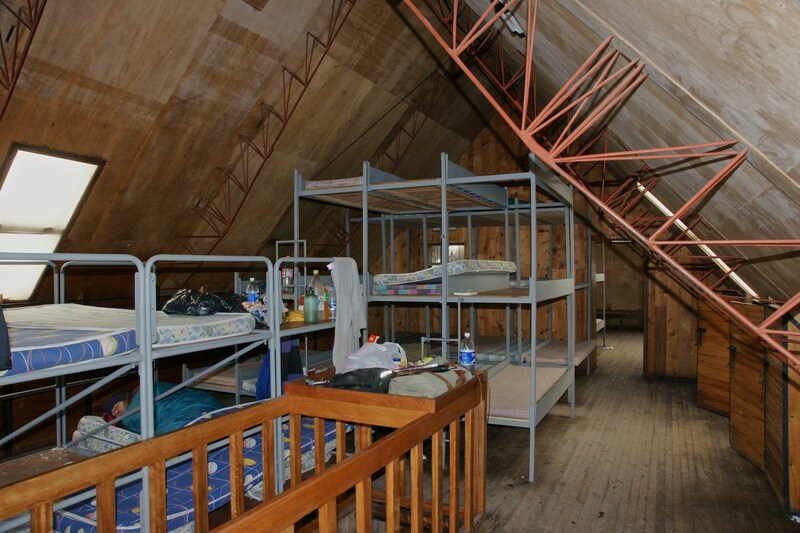 Cotopaxi is easy to get to, has a great hut to use as the high camp, and is not a technical climb. 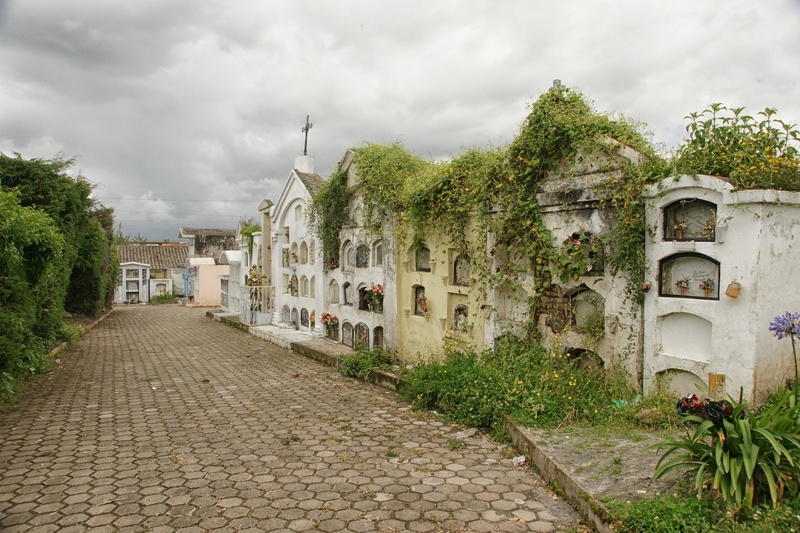 Given that I had waited until the end of my eighteen-day stay in Ecuador to do it, acclimatization was no longer an issue. 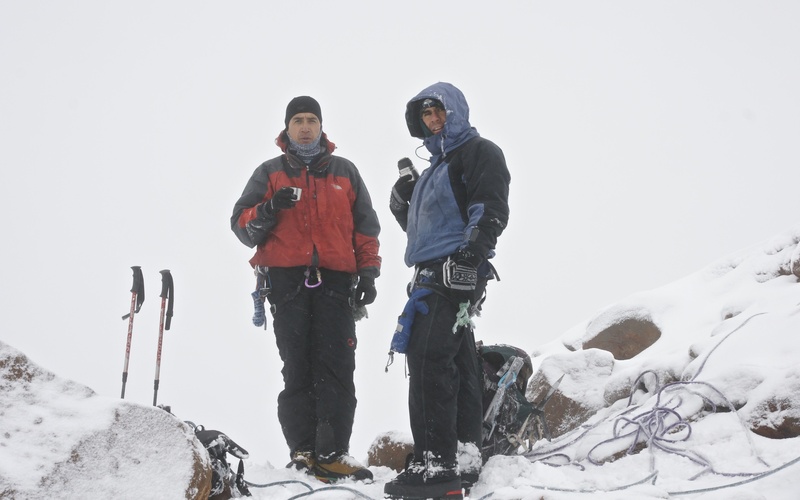 My guide for the climb to the summit was, as I mentioned in the previous post, Rafael Martinez. On our way up we were passed by a young Ecuadorian climber, who stopped for a few moments to chat with Martinez. Her name was Paulina Aulestia and she was training for an upcoming climb of Everest. 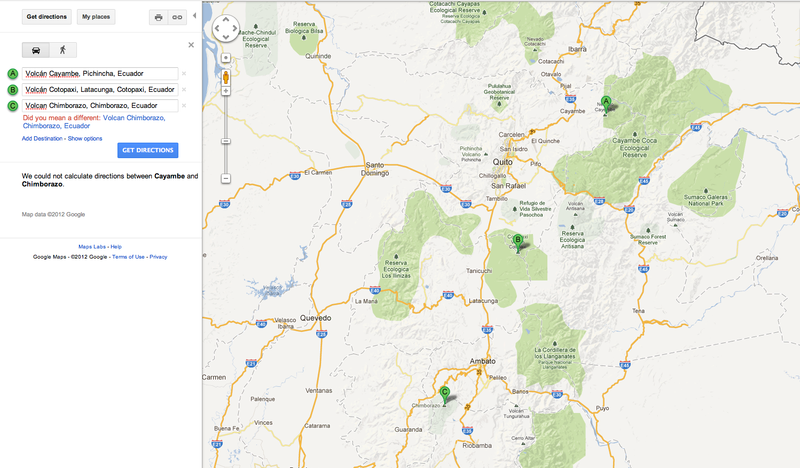 Her plan for the day on Cotopaxi? 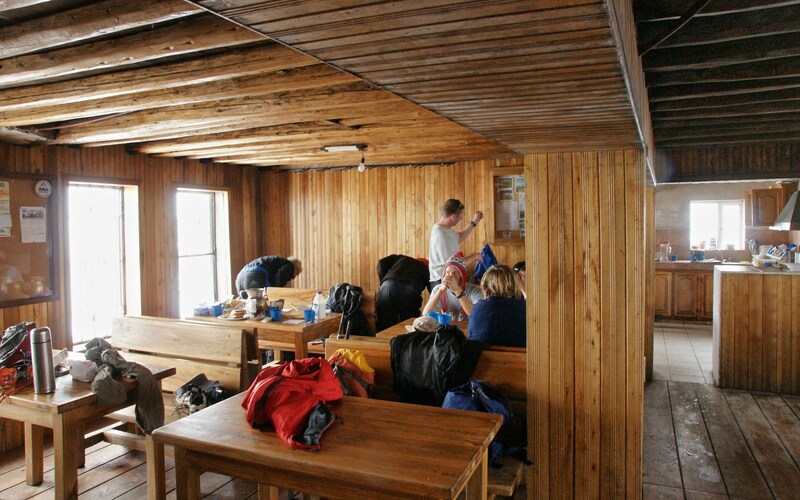 To summit, go back down to the hut, and then summit a second time – all without stopping! Before we left the hut later that morning she had it done. 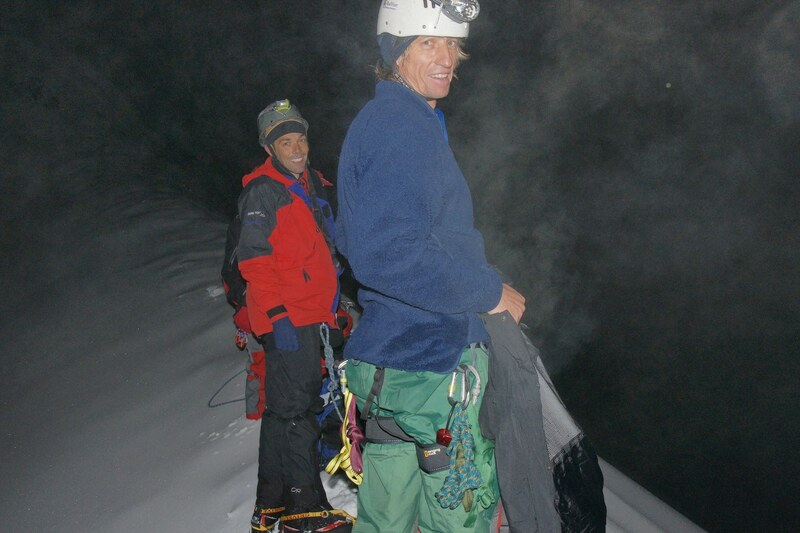 On the topic of Ecuadorian mountaineers, I found out recently that my guide and another Ecuadorian climber, Patricio Tisalema, were on Everest this May (2012) to attempt a one-day speed climb of the mountain from Camp 1 to the summit and back down in one day. (We’re talking the Tibetan side of the mountain here, not the Khumbu Icefall and the Hilary Step!) 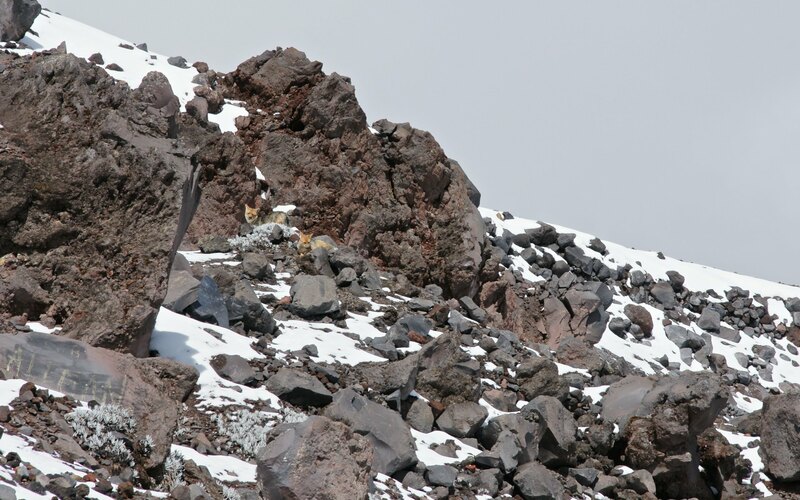 They were apparently well on their way but had to make a difficult choice just above Camp 3 (8300 meters)- push on and bag the summit or deal with a seriously ailing Sherpa climber first. They turned back. You can read an account here, although controversy about their account later entered into the picture. To see where they were, check out this fantastic Everest North Col Animated Route Map by Alan Arnette on Youtube. 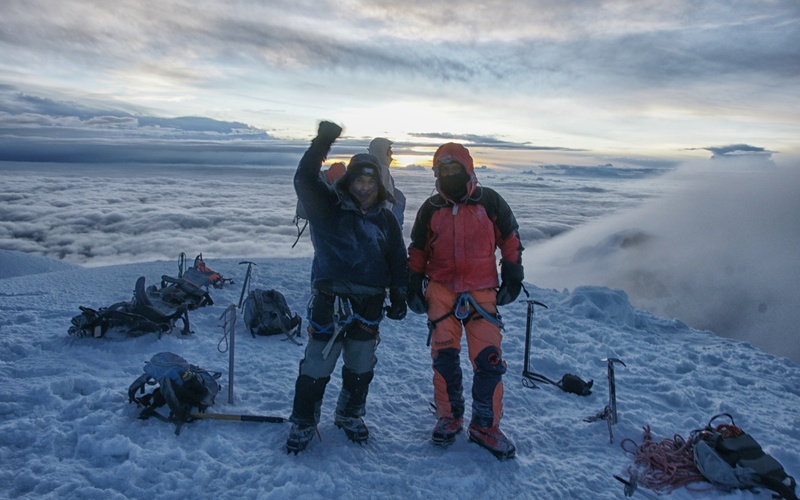 And there stands Martinez in one of the dozens of times he has stood on Cotopaxi with a client or with a fellow guide; he did say he never gets tired of the feeling. I know exactly what he means! Looking at these pics has me thinking about the buzz of standing on top of the world again. 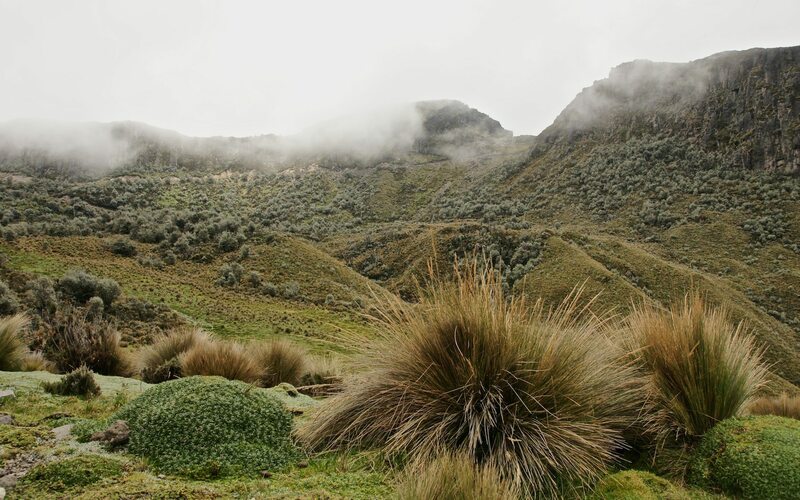 The Cordillera Blanca is not too far from Toronto – and neither is a whole new set of Ecuadorian peaks. 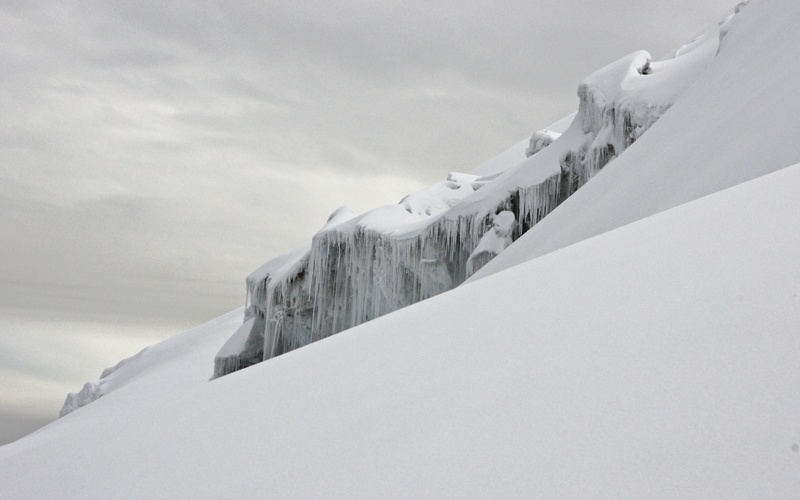 Artisana, El Altar, maybe Iliniza Sur for more of a challenge…and maybe the next time I’ll be luckier with Cayambe? The trip over, I flew back home very happy with the way things had played out. While my original trip with AMG had been cancelled, what I had managed to put together in its place worked out perfectly. 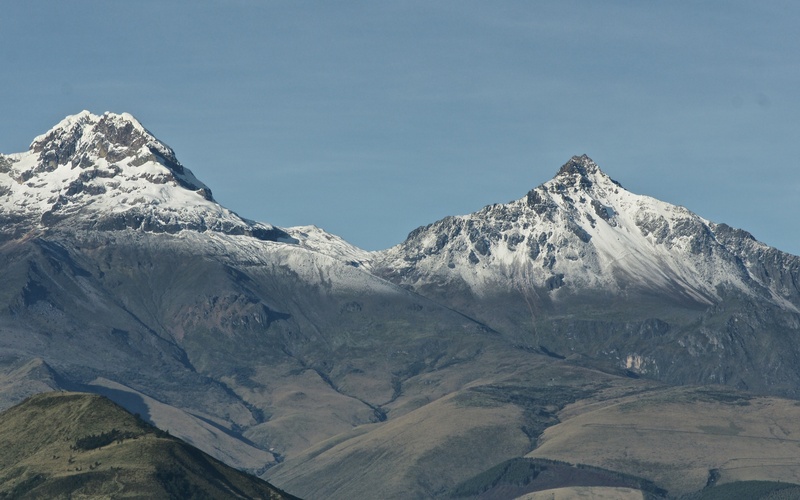 My own acclimatization plan, the five-day Moggely package, and hiring the services of Rafael Martinez on a chance walk-in from the street – it made for a great introduction to Ecuador and some memorable climbing. Better yet, I was flying back home with a blank slate – at least in terms of work. 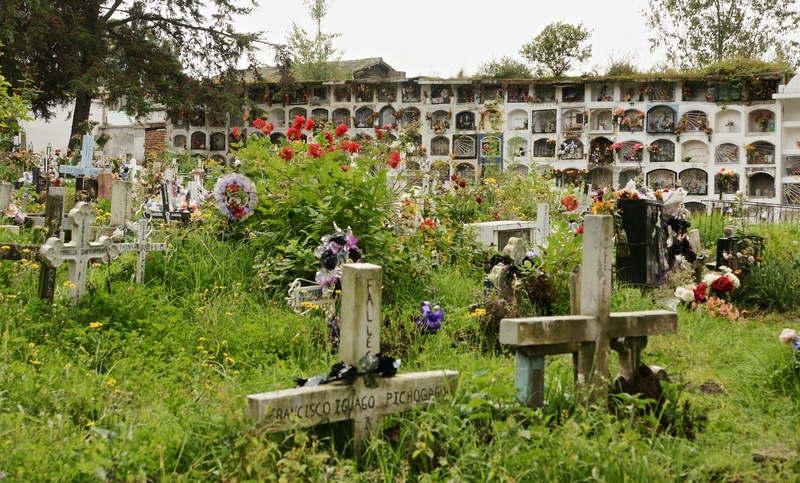 After thirty-five years in charge of various high school classrooms, I had retired from my job at the start of the very week I flew down to Quito. I hadn’t had time to think about any of that during the almost three weeks in Ecuador- and as I flew back I was already thinking about another adventure. As it turned out, a few months later my brother and I combined canoeing and “mountaineering” in a two-week trip that involved climbing the highest point in our home province of Ontario in Canada (693 meters!) and paddling about 225 kilometers through some occasionally exciting whitewater in the parklands near Temagami. See the post link below for the pics of that trip. 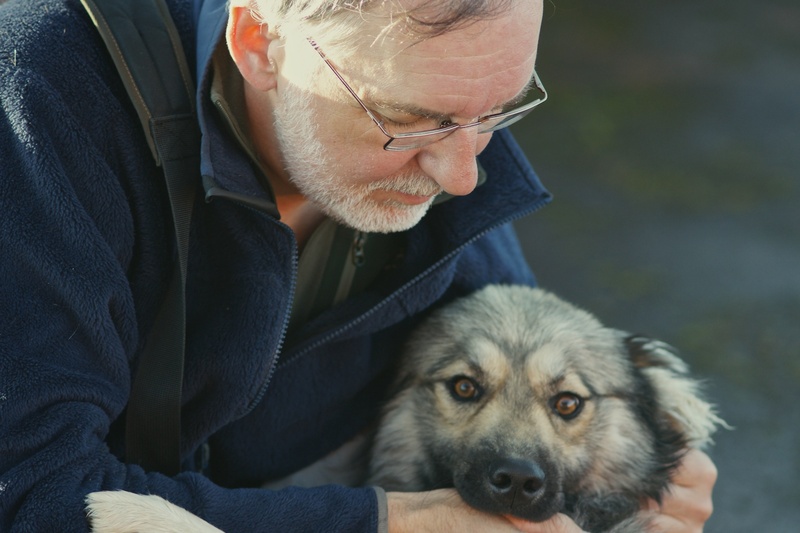 Ah – the retired life! 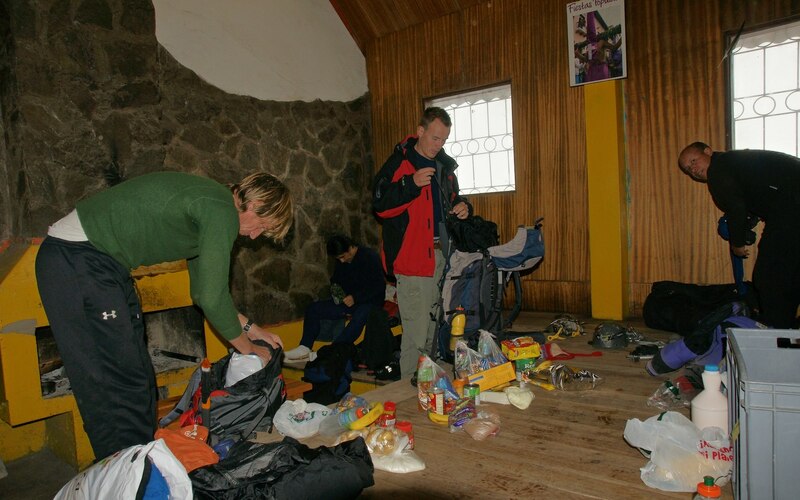 This entry was posted in mountaineering and tagged Carrel Refugio Hut, climbing Cayambe, climbing Chimborazo, climbing Cotopaxi, climbing Ecuador, El Castillo Chimborazo, Hostal Valhalla, Jose Ribas Refugio Cotopaxi, Machachi Ecuador, refugio cayambe, refugion Ruales-Oleas-Berge, Veintemilla summit, Whymper Hut, Whymper Refugio. Bookmark the permalink. 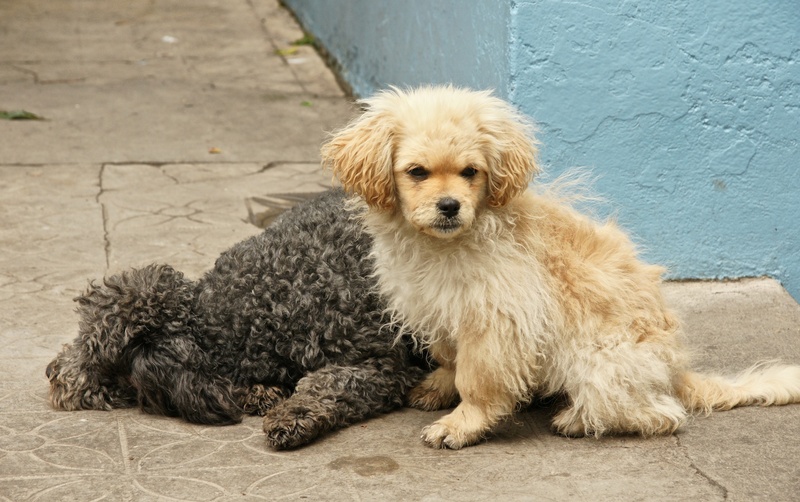 This is exactly what I am trying to do while I am in Quito. I am just having a hard time deciding what company I should go with or if I should wait until I get there and then find a local guide. Any suggestions? 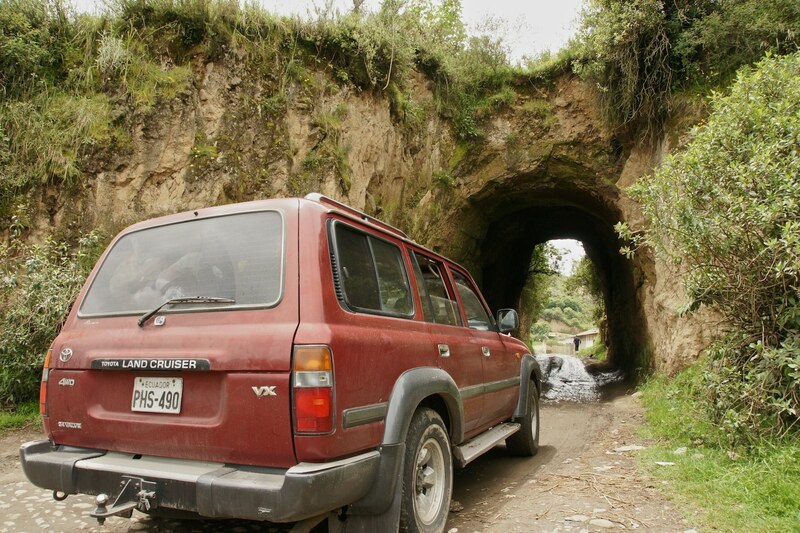 Joshua, I went down with six days – the Cayambe-Chimbo climbs – already booked with a Quito-based company. I was able to join three other climbers who were looking for a fourth so it brought down the price a bit. 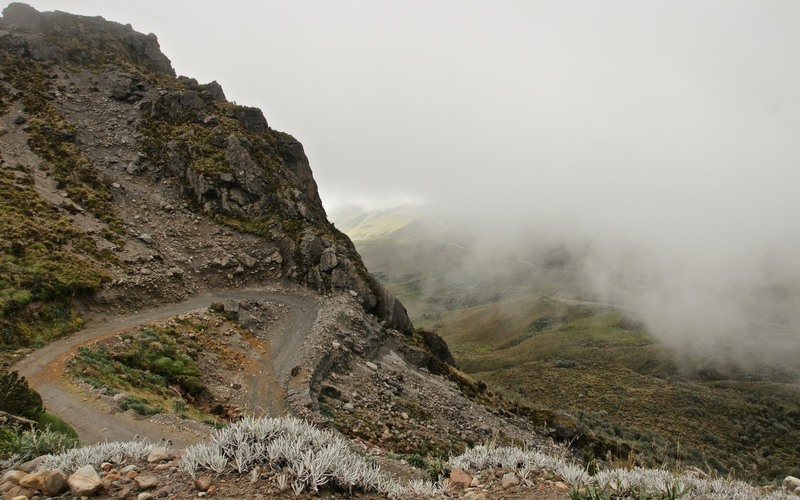 For the other climbs – acclimatization climbs and Cotopaxi – I arranged them when I got to Quito. See the post for more details on potential guide services. I was there in 2010; things may have changed so look around. Also, I was there in mid- February, the tail end of the climbing season. If you are there in December or January you should find more groups to join. I hope everything works out – it is definitely worth the effort.